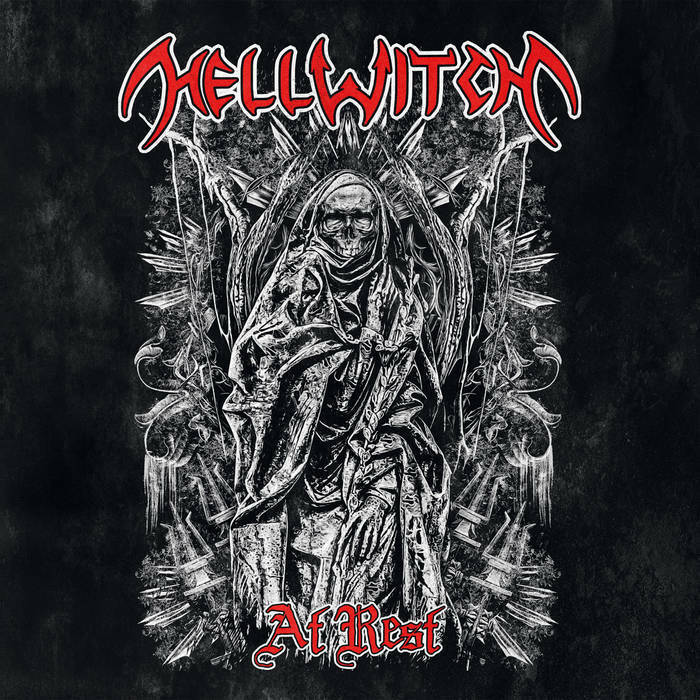 Home › • HELLWITCH - At War 7"
• HELLWITCH - At War 7"
Seminal Floridian veterans HELLWITCH unleashes a brand new 7" EP, once again showcasing their unique style of unorthodox yet relentless Death Thrash technicality with "At Rest". Always stellar in musicianship but never over-indulgent, "At Rest" features two tracks that clearly is evident that HELLWITCH have stayed true to their roots but pushing boundaries on the songwriting front. Caustic, malicious and forward-thinking, "At Rest" will no doubt transcend all peers that have taken this sub-genre to its extremes but often lacking in spirit and integrity. "At Rest" will be available in a limited run of 500 copies; with 300 copies on Black vinyl and 200 copies in Grimace Purple vinyl.